Sock it to ’em with this Pow! 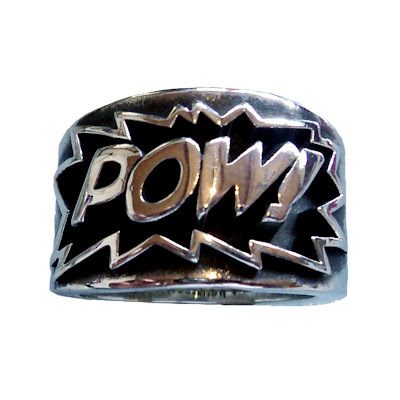 ring from the official Stan Lee store. It’s available in sterling silver, but the pewter version is more within my price range at $45.